Saving a Mustard is like nursing a rattlesnake in the belief it would make a nice pet that never bites. Rescuing Islamic terrorists from Libya is really proving to be sensible isn’t it? This should be top story everywhere in the UK right now. It isn’t. This is what the left wants more of. Pathological altruism. 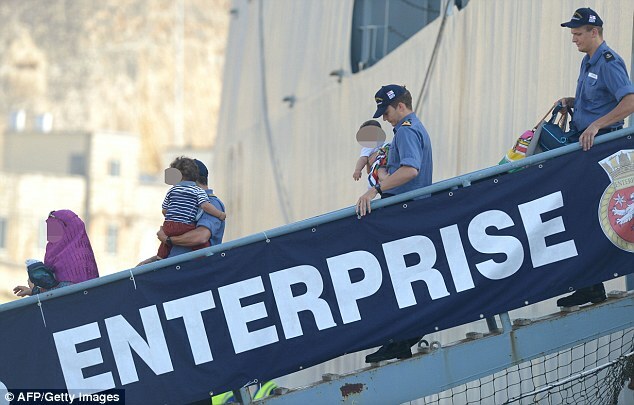 Abedi’s younger brother, Hashem, who is in jail in Tripoli facing trial over the attack, was also rescued by HMS Enterprise. The pair had been caught up in fighting in Libya and were among more than 100 British citizens taken to safety. 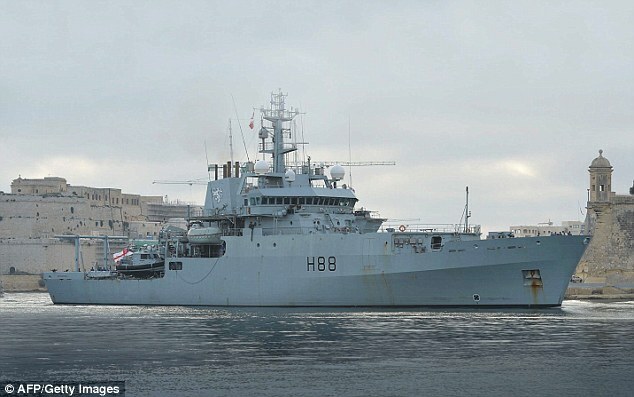 Photographs released by Ministry of Defence officials at the time showed the group being brought on board the Navy vessel. 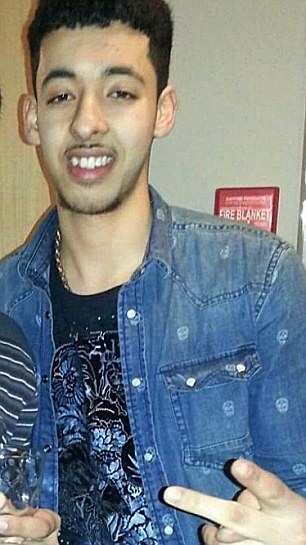 The revelation will enrage families who lost loved ones in Abedi’s despicable attack. It is also likely to raise fresh fears over possible intelligence failures. 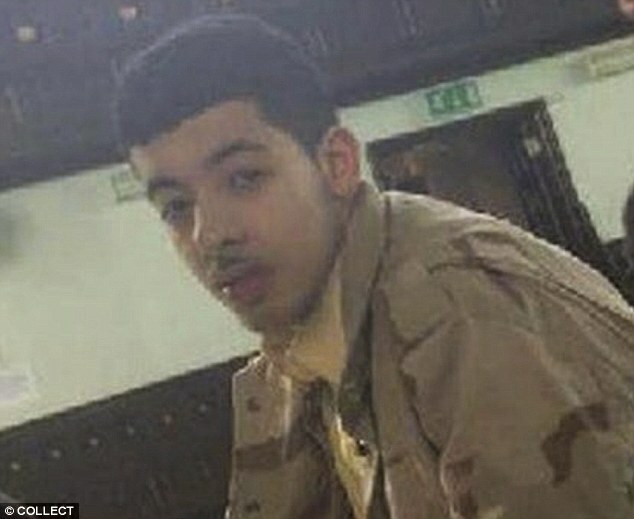 Abedi was known to the security services and was being monitored at the time of his trip to Libya. However, just one month prior to his rescue, MI5 closed his case as a result of mistaken identity. Dozens of survivors suffered life-changing injuries, including the loss of limbs. More than 21,000 fans had been at the sold-out concert. Many had received tickets as birthday and Christmas presents. Just as Miss Grande finished her encore, and the first fans were leaving for home, Abedi pressed his trigger. Among those killed were a brave aunt who shielded her 11-year-old niece from the nail-bomb blast and parents who were waiting to collect their children. 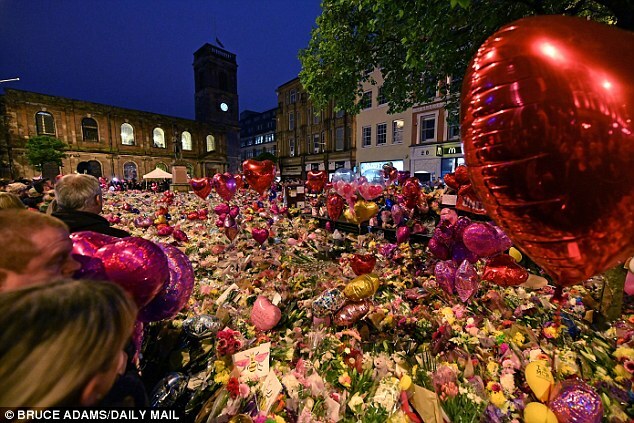 Saffie Rose Roussos, eight, was killed after becoming separated from her mother and sister at the venue. Martyn Hett, 29, a Coronation Street superfan who was due to go on a two-month trip of a lifetime to America, was also killed. Georgina Callander, who had met Miss Grande backstage at a previous concert, died in hospital with her mother by her side. The 18-year-old was described as the kind of girl who ‘lit up the room’. 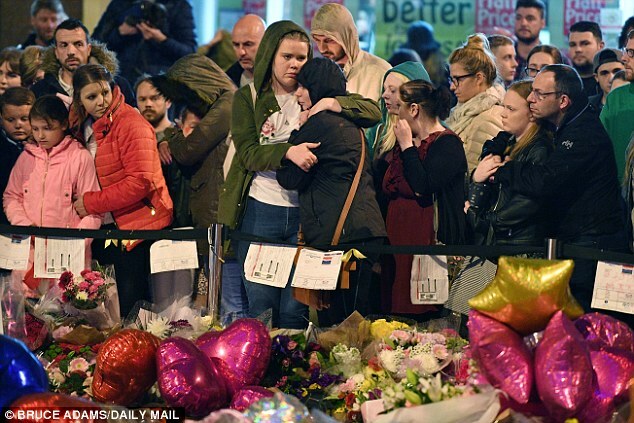 The cruel randomness of the blast determined who lived and who died. Off-duty police officer Elaine McIver, 43, was killed but her husband and children survived with injuries. Caroline Davis had just walked into the foyer with her best friend Wendy Fawell when the bomb exploded. Wendy, who was 50, died instantly while Caroline suffered shrapnel wounds, a dislocated shoulder and was knocked unconscious. 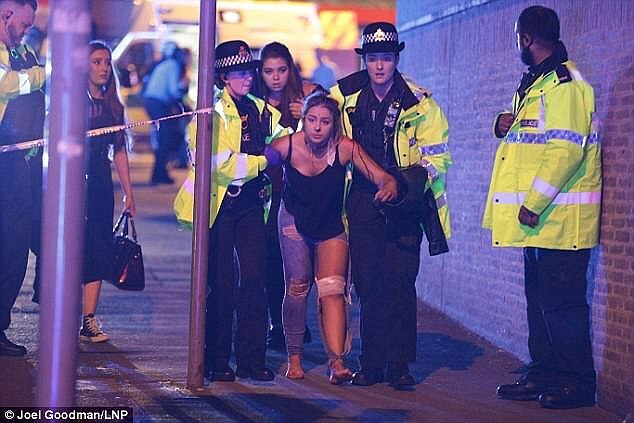 Photographs showed stunned survivors, including then 14-year-old Eve Senior, being taken to safety. 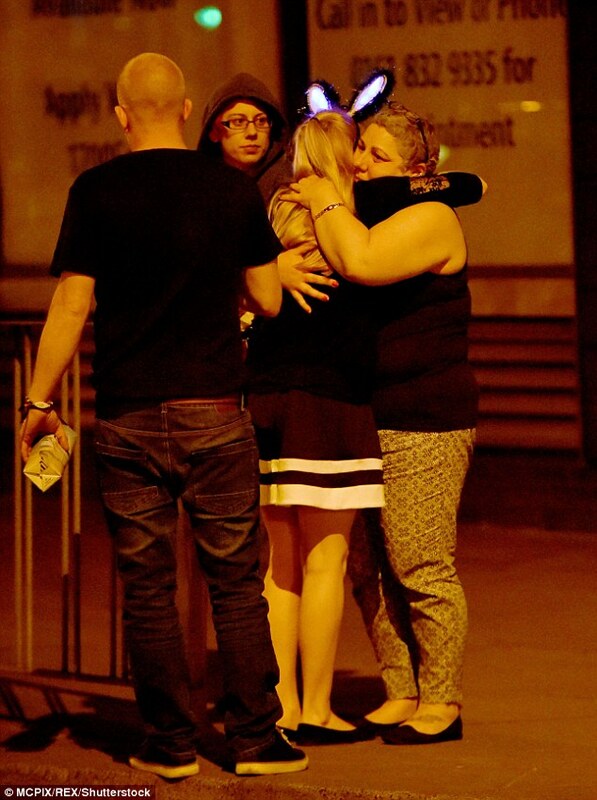 She was seen with her jeans torn, a bandaged knee and blood streaks down her arm. Eve, who was just five yards from Abedi, suffered 18 shrapnel wounds, burns and a severed nerve in her leg. She has since spoken of her desire to go into nursing. ‘Before Manchester I had no idea what I wanted to be when I grow up,’ she said. ‘But staying in hospital and seeing what the nurses do and how good they are – when I’m older I want to be a nurse.’ Other survivors remain traumatised. Amelia Tomlinson, 18, who was just 6ft from the bomb, told a BBC documentary: ‘My face is all marked from where the shrapnel hit. When I used to put moisturiser on sometimes I’d feel little bits of shrapnel coming out, like little grains of metal. It’s the first thing I see when I look into the mirror. Some victims were forced to wait two hours for help from firemen after ‘risk-averse’ bosses kept them away, a report found earlier this year. 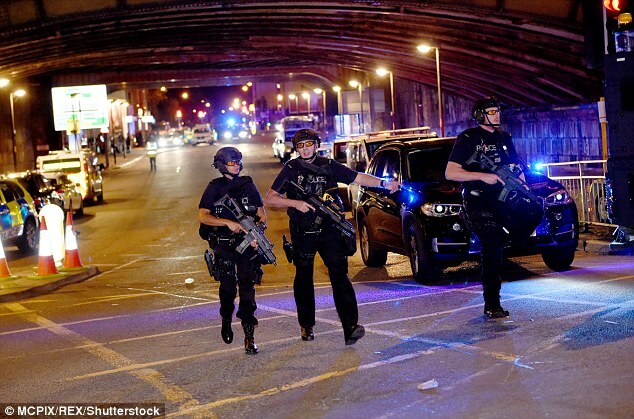 As ambulances flooded to the scene, fire chiefs moved officers to a station three miles away because they feared a marauding terrorist was still on the loose. 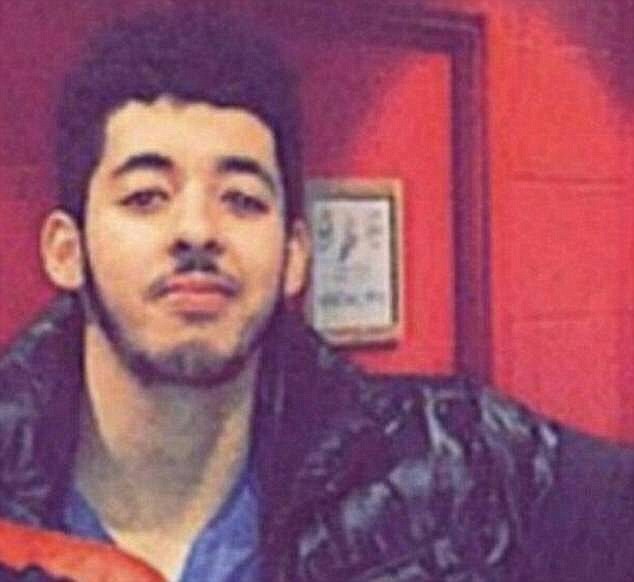 Abedi’s atrocity was carefully planned. 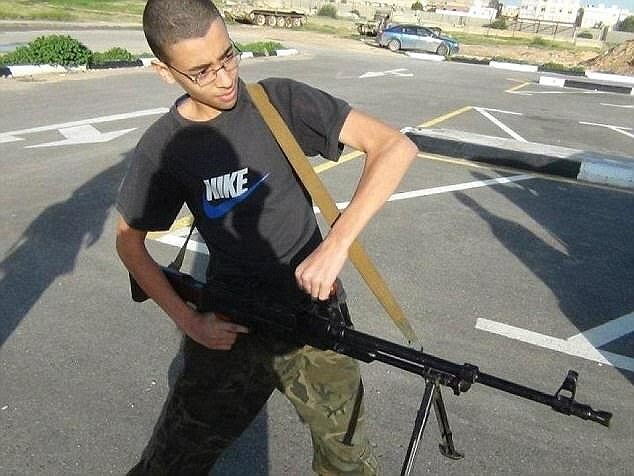 He bought a Nissan Micra on April 13, two days before leaving the country for Libya, and officers believe bomb parts were stored in it until he returned on May 18.